Hozier's second album has now officially been announced for March 1, 2019 with a new track from it out now to start it off! 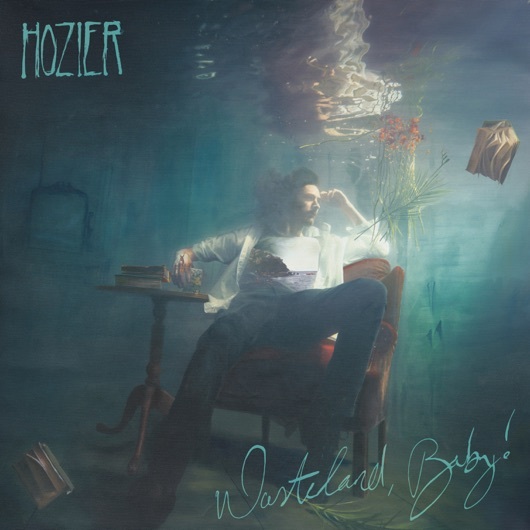 Hozier's new album called Wasteland, Baby! is coming March 1, 2019. The album is his first album in 5 years. This new album follows the EP he released in September 2018 called Nina Cried Power and will include two of it's tracks "Nina Cried Power" and "Shrike." To start of the new album he released a new track titled "Almost (Sweet Music)" on January 16. He will also promote the new album with a tour in the U.S. starting in March. The album will have 14 tracks and the cover is out and it's ready for pre-order. He released a video to announce the album with some of the tracks playing while he wrote out the tracks on paper. To show you the album cover he walks into his mothers art studio with an easel that has an oil painting of it on it. His mother painted the album cover as she has done with all of his album and EP covers. You might notice it's similar to his "Nina Cried Power" EP cover with the underwater theme. The Nina Cried Power EP in 2018 was well liked with 83% of 6 critics liking it. This means the new album is setting up to be good. Watch out for more to come.